Language learning is a solid pathway to exploring what life has to offer! Whenever I am introduced to a new student, one of the first questions that I ask is why they are learning English. My younger students usually say it’s because their parents are making them. My adult students will say for work. While both answers serve as great motivation, I find that one of the greatest benefits of language learning is how much of life opens up. From making new friends, to watching movies from different cultures, to being able to try new cuisine; language learning is a solid pathway to exploring what life has to offer. When I was writing this book, I kept different types of motivations in mind. You will find common vocabulary that is needed for standardized tests like GEPT, TOEIC, and IELTS. You’ll also find words, sentence structures, and idioms that are helpful in having friendly but meaningful conversations. Lastly, you’ll learn vocabulary that can help you navigate everyday life and even potentially open up new hobbies for you. 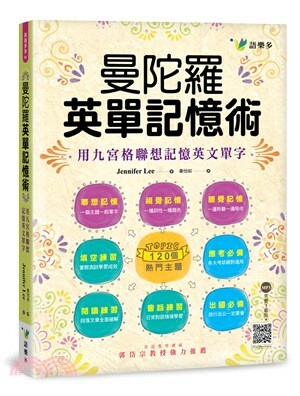 You will need an upper beginner to lower intermediate knowledge of English to use this book. Every topic has four sections. The first is your vocabulary diagram with both English definitions and Chinese translations. I encourage you to try to think in English by reading the English definition first. If you are still struggling, check the Chinese translation. The English definitions are written for learners. The definitions might seem simplified compared to traditional dictionary definitions, but what we want is to give you a general understanding of a word, then for you to move to the next section of the chapter for examples and practice. Personally, with my own language learning experiences, I have tried the method of memorizing words and their dictionary definitions and I did gain a large vocabulary. However, there have been so many times where I just had no idea how to practically use the word. Then the word would get lost in the nether regions of my brain. I wasted a lot of time this way and don’t want that to happen to you. I’m hoping you will avoid this by learning how to use the vocabulary words through the example and practice section of every chapter. The other thing you should know about this book is that it is progressive…but not. If you start from topic1 and work your way to topic 120, you will see that newly acquired vocabulary is reinforced throughout the book. However, if you want to skip to a topic that is of interest to you, that’s perfectly okay too. The grammar throughout the book is a lower intermediate level and doesn’t change significantly. If you see a word you don’t know, look it up! I’ve taken my experience as a teacher but also as a language student to come up with useful topics in life, career, and testing. By the end of the book you should have the confidence, skills, and vocabulary to interact in English socially, talk about hobbies and passions, communicate in the business world, and navigate through standardized tests. My hope is that this book will help elevate your English skills and happily go through this demanding but exciting venture of English language learning. Happy learning!